We aren’t sure when or how, but the LAH photo frame and the 4×4 posts supporting it disappeared sometime around October 2017! If you know of it’s where abouts or wish to create another one, please contact us! 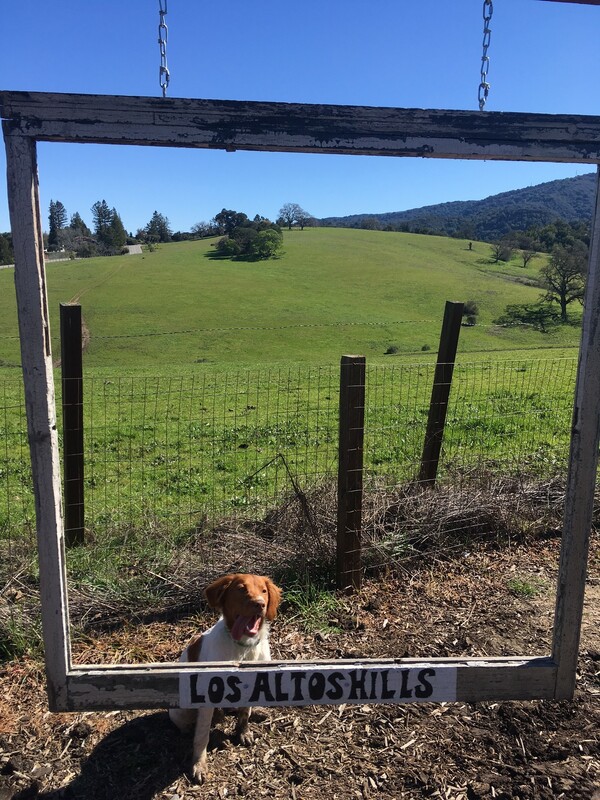 While at the Los Altos Hills Pathways run/walk event, be sure to take your group runner/buddy photo in the Los Altos Hills Photo located at the Westwind Barn driveway. At the LAH Photo frame is a special stand designed to hold the iphone camera or regular SLR camera in the perfect location or a self portrait. Set your camera on timer mode and jump behind the frame! Post your pictures on Instagram, facebook and your own blogs with the hashtag #LAHPHOTOFRAME!